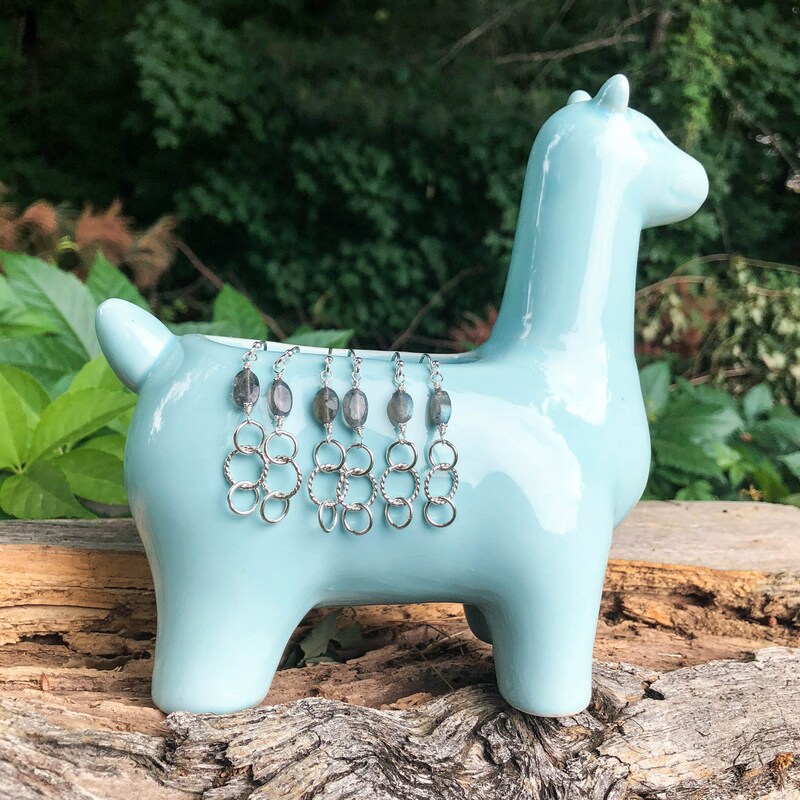 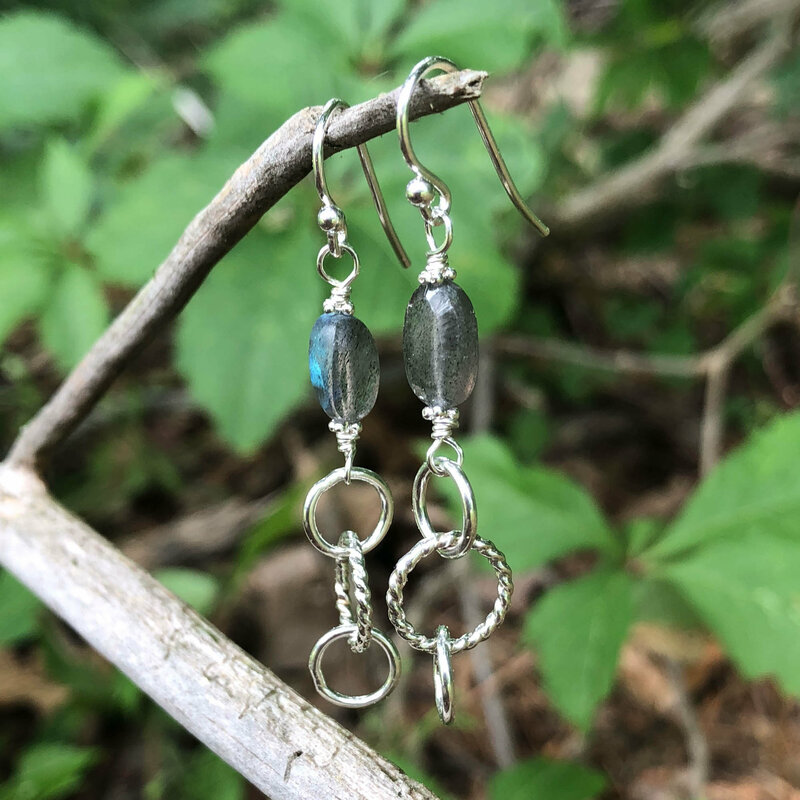 * Total length including the ear wires is just over 1.5"
* We use natural gemstones in this design and they are handmade so there will be slight differences from pair to pair, no two pairs will be exactly the same. 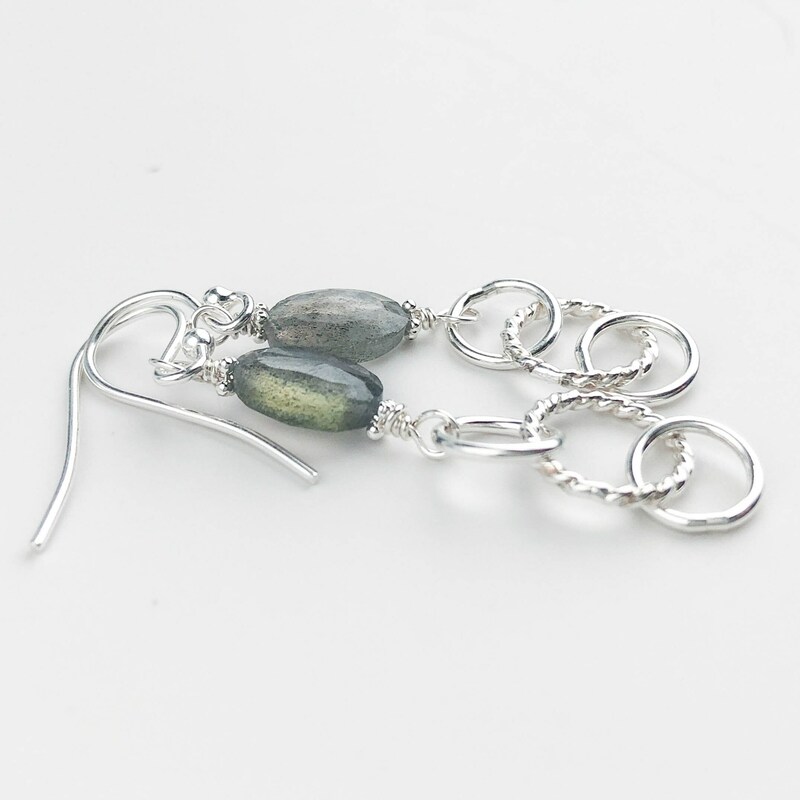 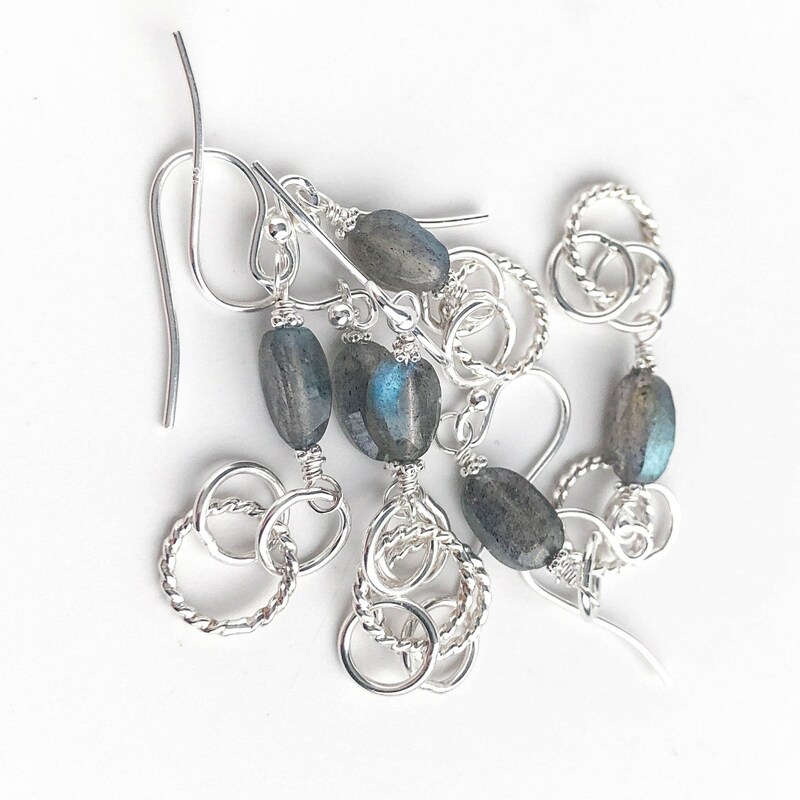 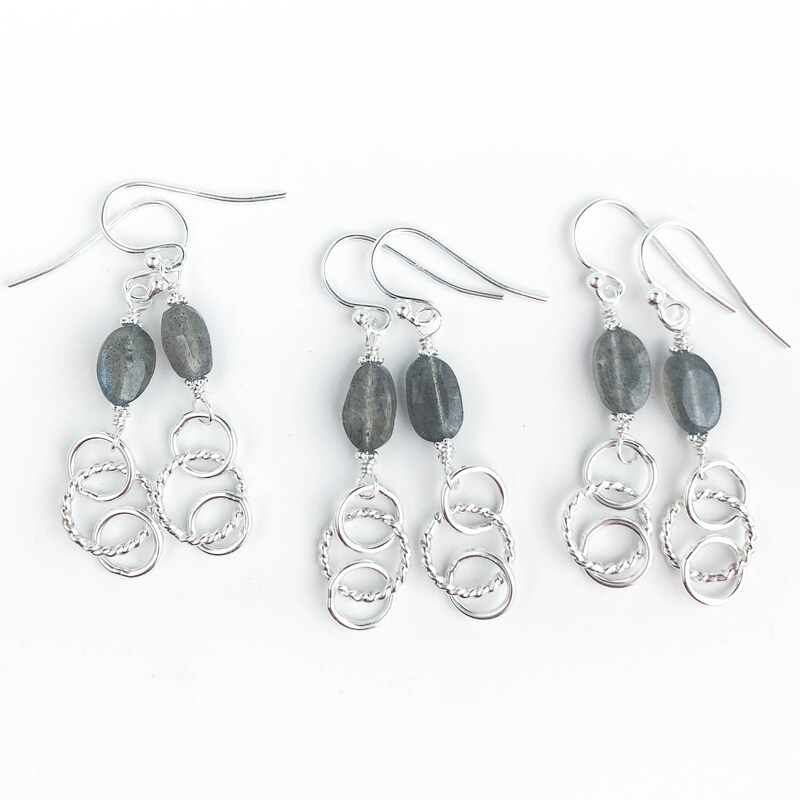 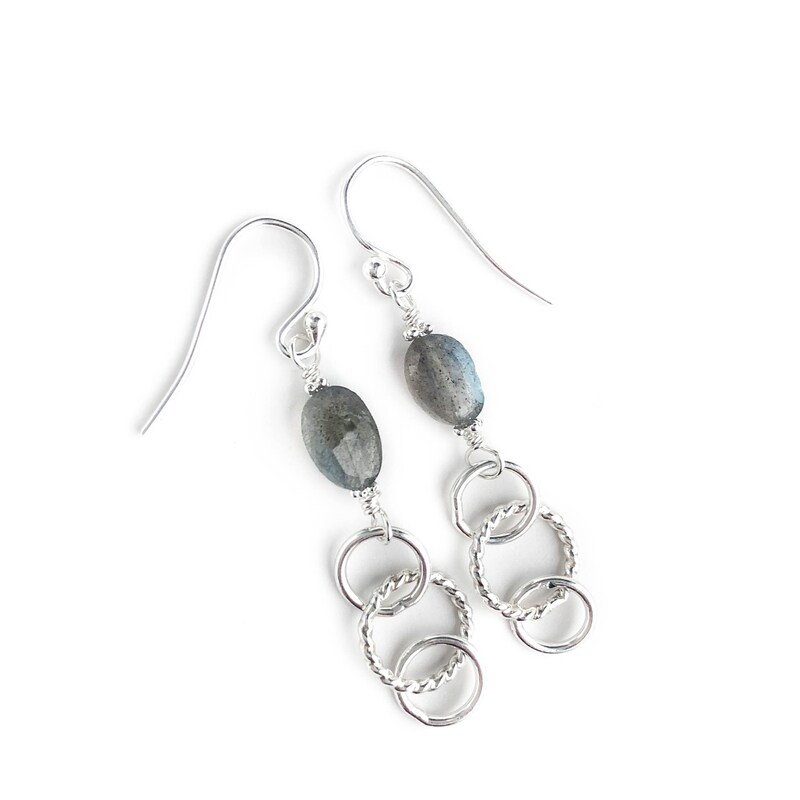 These earrings are handmade with solid nickel free sterling silver and natural labradorite gemstones. 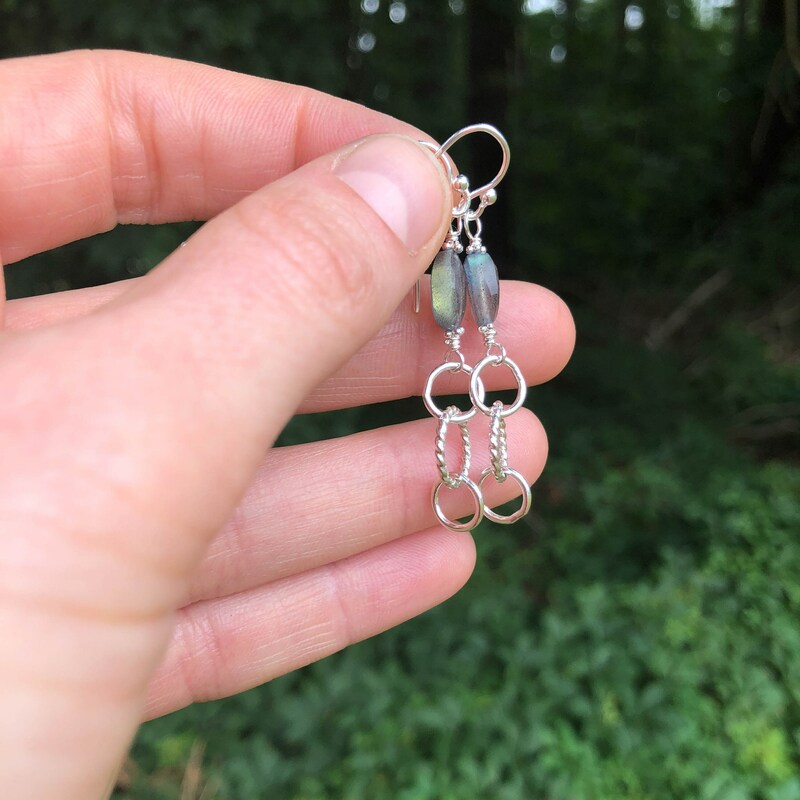 I created the circle links from twisted and smooth wire to give these contrast a little bit of length without adding weight. 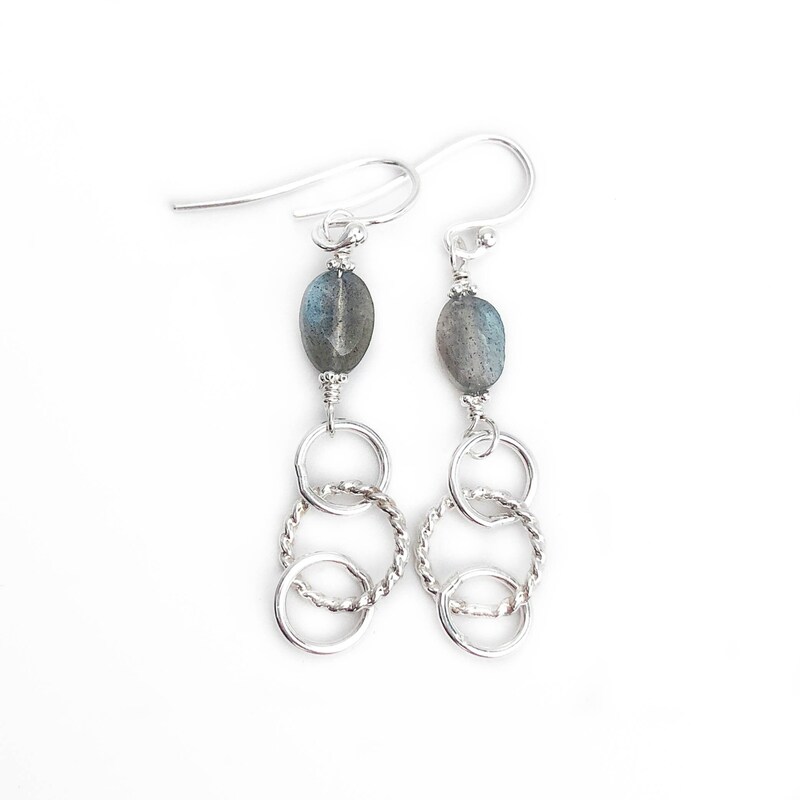 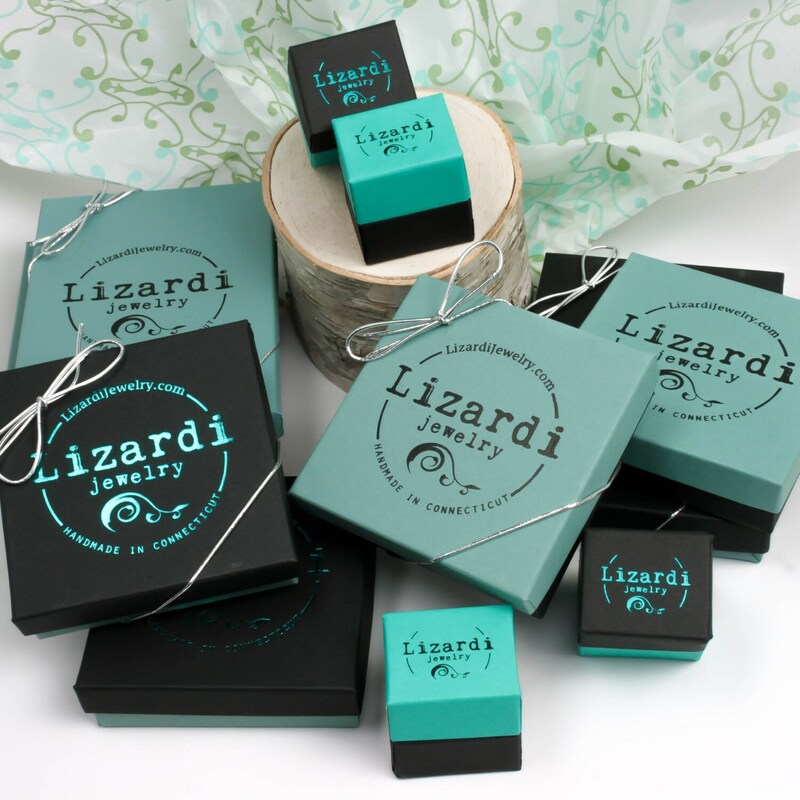 These are designed to be super comfortable to wear and will match just about anything!